Insane twin-stick shooter Assault Android Cactus finally has a release date on PC. Developer Witch Beam revealed a new trailer for the 4 player co-op game with a release date of September 23rd. Set in a future sci-fi universe where robots have lost control and are going haywire, you play the part of an intergalactic cop whose job is to investigate distress beacons emitted by ships lost in deep space. 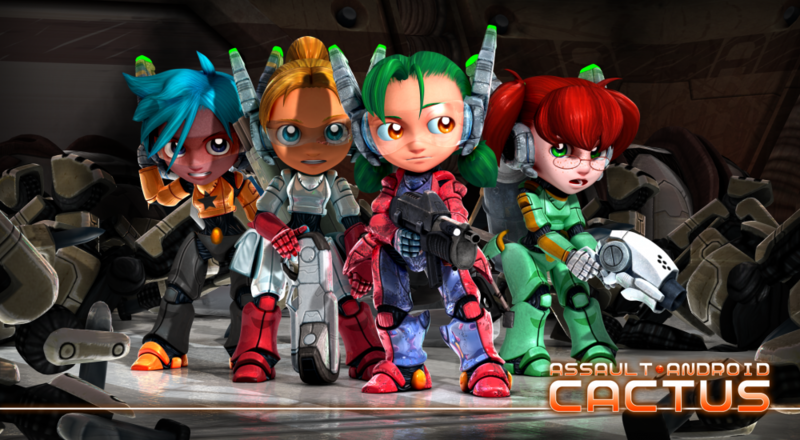 Game director Sanatana Mishra states "We’ve been inspired by so many shooters over the years, from Robotron to Ikaruga and Resogun, and hope Assault Android Cactus will be as fondly remembered as those classics." The shooter has been a part of Steam Early Access for some time now but will be launching with 8 playable characters and 25 crazy levels. On September 23rd the game will appear on Steam for $15 USD for Windows, Mac and Linux. It will be brought over to PS4, Wii U, and PlayStation Vita in Q1 2016. If the game seems like your cup of tea you can try it right now with this playable demo on Steam. To see the intense arcade style twin-stick shooter in action check out the release date trailer below.